THANKS to all who have contributed to this collection of words from a variety of sources. Approximately 200 AD: New technology, the bow and arrow, is introduced into the Madesi Pit River area. Pre-1800 – Madesi band of indigenous natives were living in abundance for thousands of years. Big Bend and the surrounding country are the ancestral territory and home of the Madessawi people. (also Madesi, pronounced Mah-Day-See) For thousands of years, numerous Madesi villages were situated around the valley and along Achoma (the Pit River) and out onto the hills and mountains that define the eleven-mile wide round valley. The Madesi utilized the natural resources of their land to the fullest. In addition to harvesting deer, salmon, trout, rabbit, birds, and other small mammals, they often moved around their territory and gathered acorns, roots, herbs, and fruits, as each came into their season. Before the European-American invasion, the Native Americans of the Pit River region were thriving. The Madesi band (part of the Achomawi language group), who lived in the Big Bend area, were one of eleven bands in the region. The Madesi lived in simple pit houses in small familial villages along Achoma (aka, the Pit River). They led a somewhat nomadic life, following opportunities to harvest foods from the rich resources of this valley, and ready to move to higher ground when the creeks and rivers flooded in the rainy season. Archaeological evidence and some information collected by ethnographers in the early 1900’s gives only minimal details of the thriving culture and communities that existed in what is now known as Big Bend and the surrounding areas. Several Madesi villages in the vicinity of the hot springs have been identified in the few existing ethnography reports: “Oo-le-moo-me,” (NW corner of BBHS property, South side of river, East of Ano-che-che (aka, Kosk Creek), near the “beach” and the lower hot springs, . The main hot spring (aka, the “Mother Source”) and the area around the confluence of “Indian Springs Creek” with Achoma (or the Pit River) was said to be the Madesi village of “Lah-lah-pis-mah.” Big Bend Hot Springs was also apparently called “Dirl’ploha” by some other tribes in the region. Across the river from Lah-lah-pis-mah, was the main, or head village of the Madesi, called “Madess,” or “Madess-Atjwam,” (translates to Madess Valley or Madess Flat). Just upriver from Lah-lah-pis-mah (on the South bank of the river) was the tiny village of “Alosatcha,” possibly located behind today’s Big Bend Community Club. Further upstream from BBHS several more villages existed along the river, extending around the southern base of Chalk Mountain, such as “Tah-Sah,” on the sandy flat where the Pit Stop Store now stands, and “Ah-lis-chu-chah” on the North side of the river, west of Nelson Creek (the creek itself was also apparently called Ah-lis-chu-chah). In the 1970s, Olmsted wrote that “Pride in the knowledge of the extent and resources of their aboriginal home territory is matched only by Achumawi self-esteem for successful survival in their homeland….” In spite of the many disruptions in the last 150 years, band-specific ties to the land and its waters remain. It is important to note that Pit River people draw no distinction between prehistoric, historic, and current use, stressing rather their continuous association with the land. To make tools, the Madesi apparently used both basalt and lots of obsidian from Glass Mountain. Obsidian arrowheads and obsidian flakes from tool-making have been found all over the valley from the river banks to the hillsides and high in mountain hunting camp areas. One story that was reported is that local Madesi youth jumped off a steep river bank cliff (into a pool in the river below), near the main hot spring, as a rite of passage ritual… Due to being in a remote mountain valley in Northern California, and off of any main transportation routes, the Madesi had a relatively undisturbed existence well into the nineteenth century. 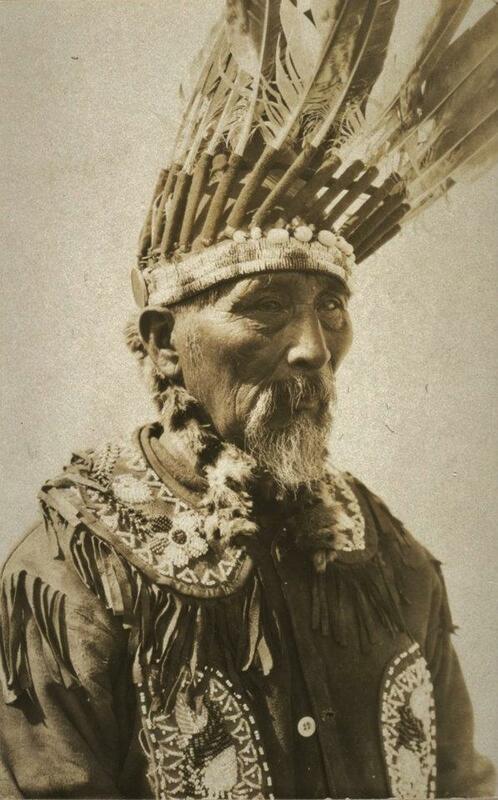 They were one of the last tribes in the USA to be invaded and pushed out of their home land. 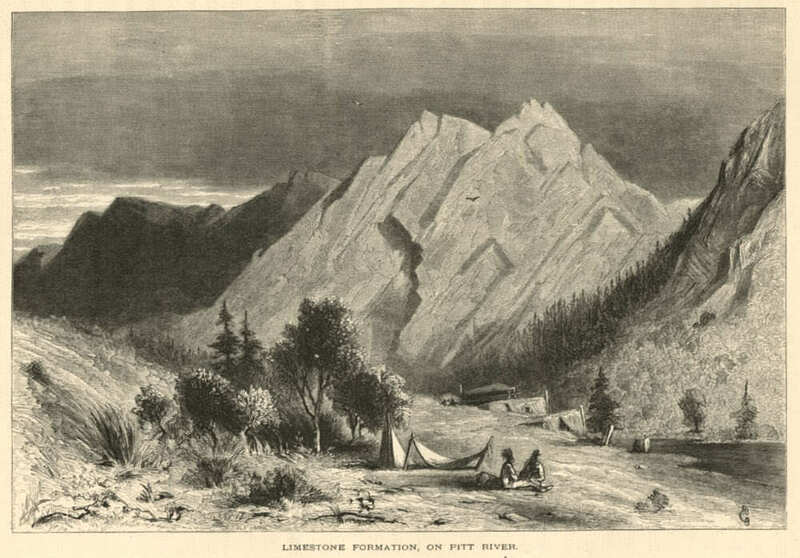 1827-1830’s – European-American/Canadian fur trappers and explorers began passing through the Pit River area (unknown if they made it to the Madesi Valley or not). 1840’s – Madesi territory was still relatively undisturbed and had only been visited by a handful of foreigners briefly passing through. 1848 – California became part of U.S.A. through treaty with Mexico (in 1850 California became a state). 1851-53 – U.S. Congress and California Legislature created various laws that deny Indians of land rights and effectively extinguished all aboriginal title in the state, paving the way for continued genocide and land theft, with no treaties or protections for Indians. The movement of white emigrants into Madesi territory (started in the 1860‘s and 1870’s) caused more and more Madesi displacement and changes to the environment. The emigrants often had no respect for the delicate balance of nature, grazing their cattle and horses in prime hunting and gathering areas. A steady flow of emigrants arrived determined to occupy Madesi land without any respect for the local people already living there, and began the process of confiscating and fencing off the land. By 1868 the US Army under General George Crook brutally took control of many upriver Achoma areas. When and if Crook’s forces came to Big Bend is uncertain. A story of a massacre of Madesi villagers along the river has been handed down, but the year is unclear. Were the Big Bend Madesi massacres in the 1860s? 1870’s? 1880’s? Seems like it must have been some time in that 30 year period, when there were fewer and fewer Madesi and more and more white settlers changing Big Bend forever. The Madesi area also underwent some kinds of impacts not common for the region as a whole. At Big Bend, the hot springs had drawn Yana, Wintu, and Pit River people to their waters. In the historic era, they were taken over by white settlers, who turned the area into a “resort”. Access to this place of healing now was dependent upon the whim of the current landowner. The Madesi area was also somewhat unique in the amount of impacts on lands remote from settlements. Government timber land went on sale in 1878, and allowed the purchase of up to 160 acres at $2.50 an acre. Outlying areas were victim to a speculative boom as a result, and large acreages passed into private hands. The area was subsequently heavily logged. The super intense ecosystem-destroying over-harvesting of timber in Big Bend region remains a huge problem today. Most of the once vast and diverse forests in the area have been abused, destroyed, and changed into unhealthy tree farms by clear-cutting and other industrial logging practices. The occupation of the valley areas by whites, disrupted the safety of the Madesi and their traditional food supply. Many Madesi were displaced against their will, some brutally murdered, in these years. Some returned or resettled nearby when they could, but countless people were cut off from their extended families and their traditional food sources. Into the 1900’s, many Madesi survived in poverty and some were hired out as ranch hands, mill workers, forestry workers, etc… The brutal arrival of white emigrants forever altered the environment and culture of the Madesi people. The Madesi people never signed a treaty with the United States or the Sate of California; their land was simply illegally confiscated. 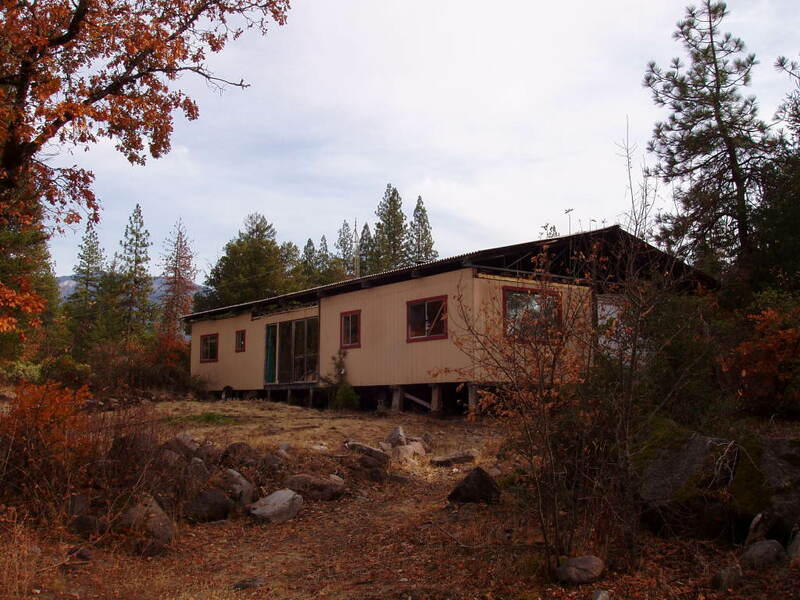 Today, the Madesi have survived and continue to live in what is now called Shasta County, as well as throughout the West. Some continue to hunt and gather in their traditional places, and pray at their sacred sites throughout their homeland. Today, they are federally recognized indians and one of eleven bands making up the Pit River Nation. 1847– Spanish Mining Camp in Big Bend. Spaniards looking for minerals searched up all the creeks. 1850’s – European-American immigrant expansion interest and activity in Pit River region began. USA government, military forces, and settlers invaded, attacked, displaced, and killed the majority of Pit River Indians (including the Madesi and ten other regional bands), with no treaties or compensation made for land seized. Many Indians surrendered under the threat of death or starvation, others were captured, untold numbers were killed, and their villages and food supplies were destroyed in the battles. In 1859, 700 captured Pit River Indians were forcibly taken to the Round Valley Reservation in Mendocino County for internment. The number of soldiers reported killed in the attacks varies; one account mentions 25, while another mentions 90. The main genocidal “war” ended in 1859. Although the vast majority of Pit River Indians had been killed or forcibly moved out of the area, some remained, hidden away, and over 500 of those who were sent away eventually returned to their homeland, only to find white settlers unlawfully taking over more and more property. 1860 – First white settlers began coming into Big Bend area. 1878 – Government begins selling off stolen lands to white settlers. Government timber land went on sale in 1878, and allowed the purchase of up to 160 acres at $2.50 an acre. Outlying areas were victim to a speculative boom as a result, and large acreages passed into private hands. The area was subsequently heavily logged. 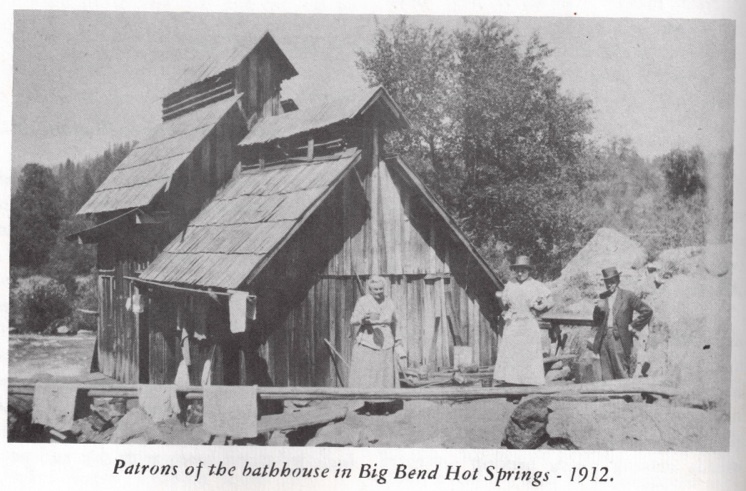 When the hot springs in Big Bend were discovered by some of the invasive non-native occupiers (also known as European-American “settlers”) in the 1890s they apparently moved in and started building what eventually became a small town of white settlers. The town was said to be called “Elena,” in 1890 (after Elena Haggen, the area’s first white womon settler) but later was renamed “Henderson,” (after a dominant settler family in the area), and then renamed again, “Big Bend.” Also, in 1890 a ferry across the Pit River in Big Bend was started, apparently where the Madesi village of Tah-sah used to be, and where the Pit Stop Store and Big Bend bridge now sits. 1900 Big Bend Lumber Company opened a mill in Big Bend and hired some of the last remaining Madesi natives living in the area as mill workers. 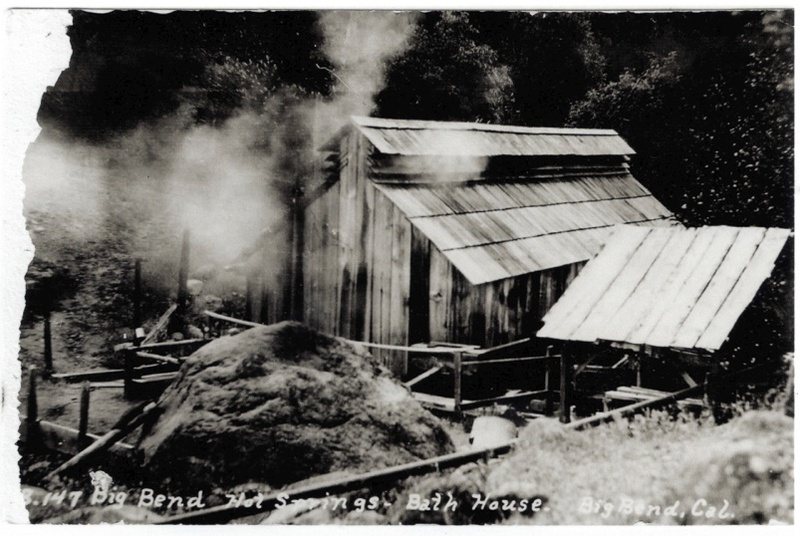 In 1901, a correspondent of the Anderson News reported 25 camps and 80 people crowded the Big Bend Hot Springs. The place was beginning to resemble a town with a photo gallery, an ice cream/candy stand, and violin and guitar music every night. Talk was to build two or three bath houses to accommodate the crowds. In approximately 1906:, the springs became a small resort. A hotel, cabins, and a bathhouse were built. The pathway down to the springs was made wider and now included a seat to stop and rest at the halfway point. Bridges were built across the gullies to encourage strolls. Modern conveniences were everywhere for the guests. And with the modern conveniences came a fee for the first time. 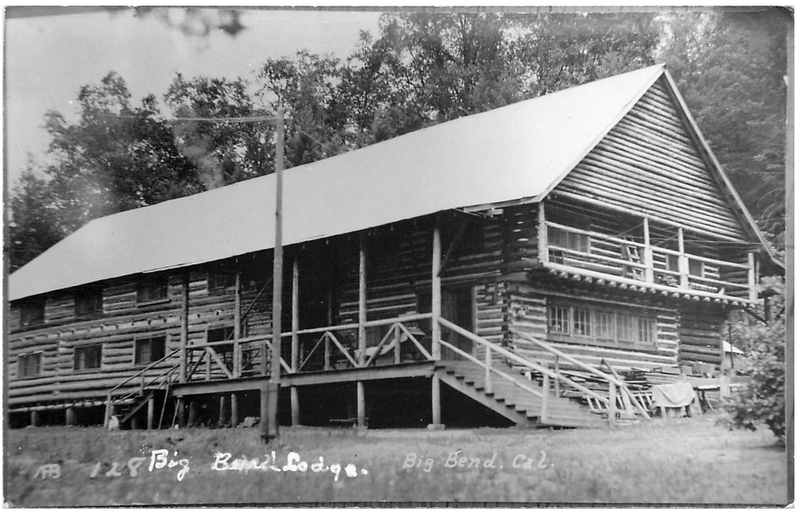 Also, the log cabin hotel at Big Bend Hot Springs reportedly burned down in 1906. 1906 – 1916: Many Pit River tribal members were given land allotments, most of which proved to be disastrous for communities, since they were given some of the worst lands, communities and families were divided up, and many allotments were subsequently sold, (leaving many native people landless). 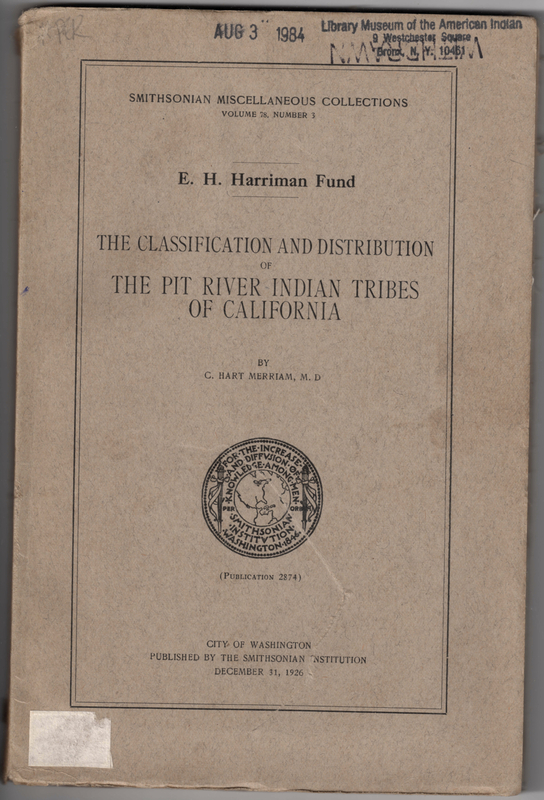 This rare 1926 book has a color fold-out map of the territories of the Pit River tribes and a chapter on each of the eleven tribes/bands (includes Ajumawi & Atsugewi language groups). Merriam apparently wanted to learn as much as he could about as many native people, culture, wisdom, and tribes as possible, and his particular focus on the Madesi allows us to know at least an approximation of some of their place names, for which we are grateful. Huge amounts of Merriam’s collected information and field notes from interviewing Native Americans from many different tribes remains unpublished and stored in the UC Berkeley library, for adventurous researchers to dig through. 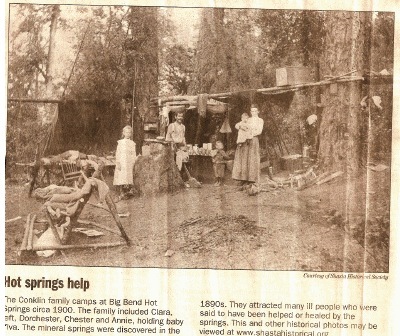 1908 – Many people were camping at the Big Bend Hot Springs. Due to their popularity, the four bathhouses — with four rooms each — were kept busy most of the time. 1910 Predecesor utility company to Pacific Gas and Electric began buying land on the Pit River to prepare to build seven dams and hydropower stations. 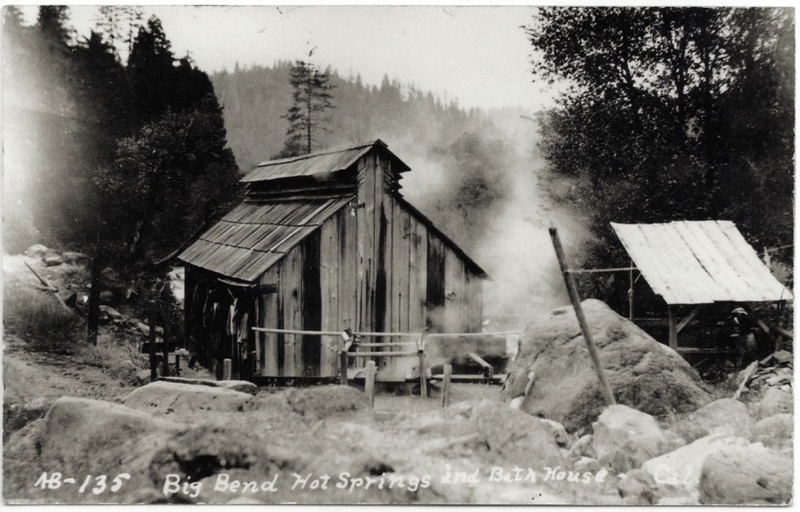 1912 –(30 November) Frank Colby’s store at Henderson or the Big Bend Hot Springs, was destroyed by fire. His stock of merchandise was small, owing to the season, but the loss was total, except that grain and flour stored in another building was not burned. 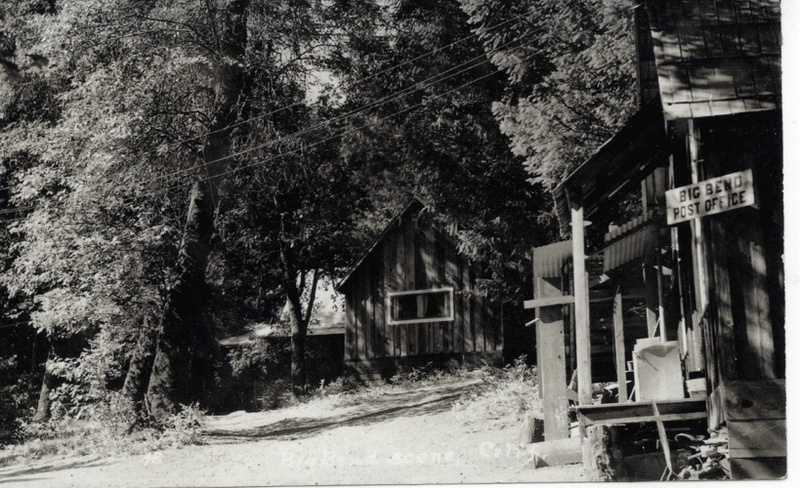 1920 – From Shasta County records: (20 x 24 and 12 x 30) Two cabins built. 1926 – A turn-of-the-century hotel at the site burned in 1926 and was later replaced (1930) by a two-story lodge that also burned. 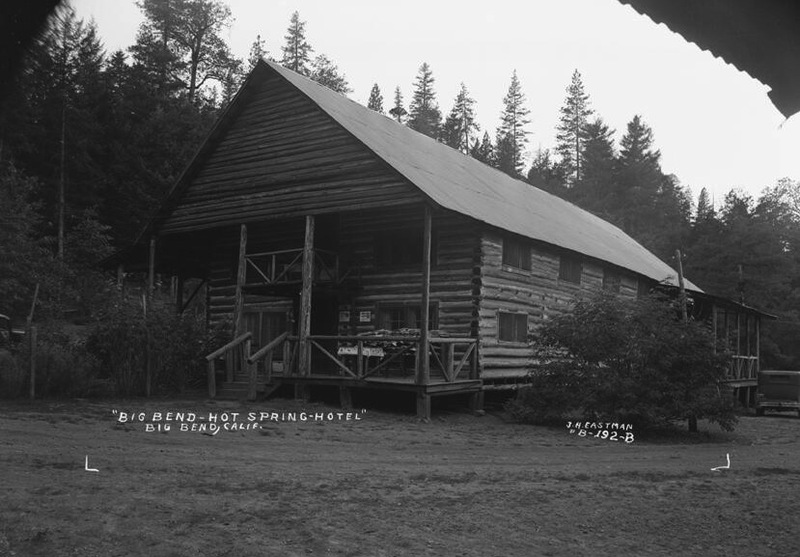 1927 – From Shasta County records: Lodge built out of logs with gabled metal roof. 1940s – Big Bend became a hydroelectric dam construction Boom Town with 9-10,000 valley residents, such as lumberjacks, dam engineers, dam builders, hard-rock miner tunnel diggers, service industry professionals, families of dam workers, etc. 1942-1944 Pit 5 Diversion Dam, Tunnel Reservoir, and the Pit 5 Powerhouse built by electric utility company, which later became P.G.&E. 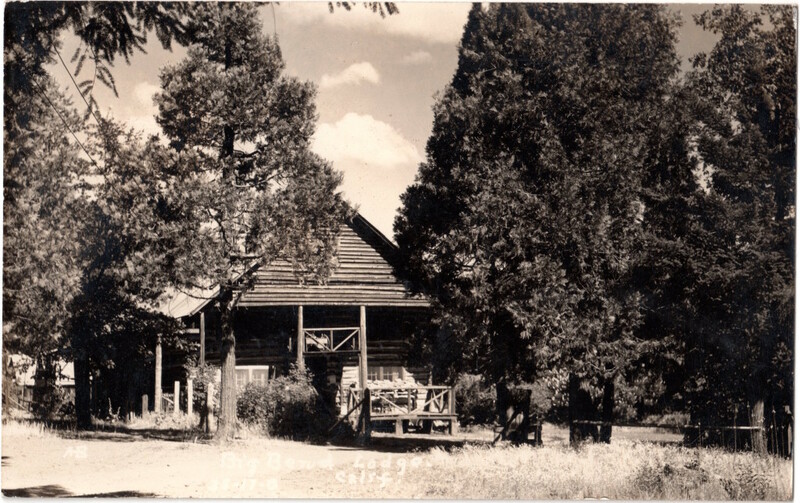 1950’s and 1960s – The Lofton Family owned the Hot Springs property, and ran the hotel, cabin rentals, saloon, etc. 1960’s until 1973 or 74 – The Lofton Family closed the business and eventually rented the property to a Hunting Club, primarily to hunt the Band-Tailed Pigeons that flock to the site all summer to eat the salt crystals from the hot springs known as the “Queen’s Bath” on the river bank. The hunters were gone most of the time, leaving the Big Bend locals to have the run of the place. 1973 -1977 – County records indicates six buildings on property. 1976 – Dan McMillan and family arrive and live in cabin by bell. 1977 – Art and Jan Hendershodt buy the property from the Dickinsons (September) (18 years +). 1978 – Jerry Kakuk and Family arrive, set up lumber milling operation on lower riverside area. Art and Alice Hendershot lived in Riverside (southern California) and owned a health food store, where they were also producing and selling Chlorella as a health supplement. They wanted to purchase a hot spring (with another friend) to start a community and utilize the therapeutic benefits of soaking in hot mineral waters. 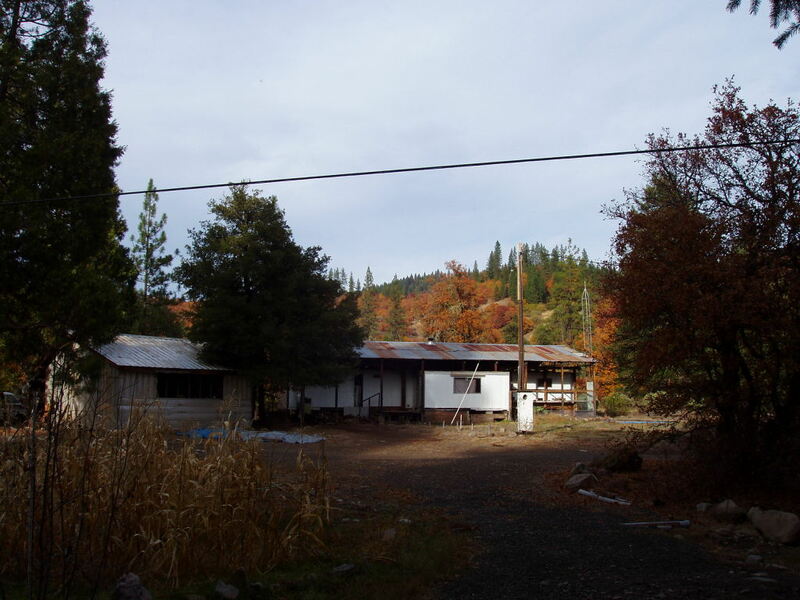 They found Big Bend Hot Springs in their search, sold their health food store in Riverside, and bought the property in 1977, forming the Essene Community. When the Hendershots arrived, the old hotel was still standing (by the upper gate) but it eventually burned down and was never replaced. Alice was a well-loved school teacher back in the Midwest before moving to California, and when her old school was being torn down, the officials sent her the old school bell, which still hangs in an oak tree near where the “Clock Cabin” used to stand, on the level above the hot springs. The Essenes used to ring the bell to alert community members of meetings and meals. They had a communal kitchen in a small building near the garden by the bell, where members would gather and share food, etc. Their son, Jan, and his four children also moved onto the property (1987-1991? ), and Jan eventually took over his parents’ shares of ownership after his mother, Alice, died (1991?) and his father, Art, died in 1994. Jan was a pacifist (and a conscientious objector during the Viet Nam War), and when the Eseenes began feuding over control of the property (he was even hit once), he eventually left, and sold his shares to Tony and Sharon Cardenas. Jerry Kakuk (along with his whole extended family) was one notable character who had a HUGE impact on progress at the Hot Springs in the eighties and nineties. When the Kakuk clan arrived at BBHS in 1978, the maintenance and development of the property took on a whole new level, since Jerry has an incredible range of skills and equipment, such as construction, large equipment operations and repairs, excavation, lumber milling, welding, and much more. 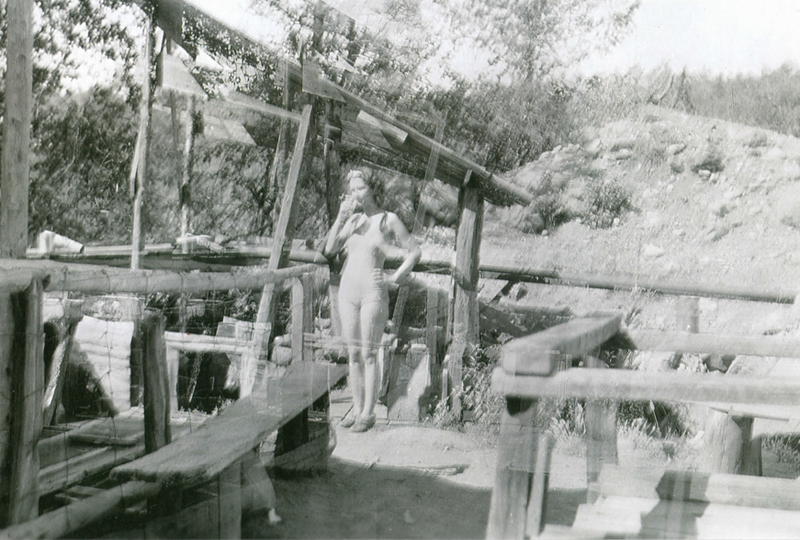 The Kakuks lived in the Clock Cabin during the colder months, and, for several summers in a row, the Kakuk clan moved a trailer, a tipi, and Jerry’s Saw Mill down to the grassy flat slightly down river from Oolaymoomay Hot Springs (formerly known as “Indian Hot Springs”). Jerry not only raised several kids with his wife Bonnie (daughters Quiana, Korey, & Jamie), but he also put in huge amounts of time, energy, and skilled work to make many changes and improvements at BBHS. Today, some of Jerry’s welding projects are still enjoyed at BBHS: Both of the main gates, and the old foot bridge (replaced in 2017) over Indian Springs Creek. All three of these superbly functional welded pieces continued to work well for decades, with only minor maintenance needs- AND, the gates swing both ways, which is handy and classy. Jerry also built plenty of other things, and did significant grading and other backhoe work at BBHS, and milled a lot of lumber. Jerry has an incredible amount of energy and is a very humble, friendly, and generous person. He has helped countless community members with countless projects from large to small. Jerry is celebrated as a community elder, and he continues to do what he has apparently always done: operate, maintain, and repair large machinery, serve his local community as a sweet mild-mannered mentor, enjoy his large extended family, help people fix things, etc. Jerry currently serves as a Board Member of the Big Bend Community Land Trust (a non-profit 501(c)(3). THANKS for all you do, Jerry- You are a star! Dan Christiansen had an incredible “green thumb,” and was the main gardener in that era, transforming the BBHS grounds into a lush food forest, while raising his twin sons, living near the Confluence hot spring. Dan created numerous gardens and planted most of the perennials now currently enjoyed (over 40 fruit trees and grape vines are now being nurtured by BBHSP, and shared within the BB community). Thanks, Dan- You (and the legendary mulberries…) will always be remembered and appreciated! Mark Logan Pedley (born 1953-07-19 in Los Angeles, California) (also known as “Tzemach Ben David Netzer Korem” and “Branch Vinedresser”) is the son of David Evan Pedley. He served as the Head of the House of Elders, Vice President of the Executive Branch, and Chief Justice of the Supreme Court of Dominion of Malchizedeck until elections in 2006, when Korem was replaced by Charles Balas. As a result of the elections, no member of the Pedley family any longer holds titles of authority in Dominion of Malchizedeck. Pedley is also the co-author of the Melchizedek Bible. In 1994, Pedley married Pearlasia, a Philippina woman who shared a common interest of furthering the cause of Dominion of Malchizedeck. The Dominion of Melchizedek is an Ecclesiastical Sovereign Nation State, which lays claim to an ancient tradition dating back to the Biblical Salem (modern Jerusalem) over which Melchizedek was the sovereign. The people of Melchizedek desired independence so their leaders signed a formal Constitution on 7 July 1991, thereby forming a government of the people based upon ecclesiastical and democratic principles. Reporter Interviewed Korem: Finally, we meet. Ambassador Korem (DOB July 19, 1953) is a striking figure, dressed in a loose tunic and sporting a biblical-style cap. His beard flows to mid-chest, after the custom of “the Nazarites,” he explains. Korem introduces his wife, Pearlasia, a Filipino resplendent in a red silk blouse and hand-woven skirt laced with thick golden threads. The ambassador holds forth in a conference room seemingly made available to all the tenants of this particular floor, including those who, like Korem, only rent mailbox space. Korem has taped the flag of Melchizidek on one wall. He explains that he is shopping for a permanent location on Massachusetts Avenue’s classy embassy row… The delegation also presents a copy of the Melchizedek Bible, price $24, which is the Word as “metaphorically translated” by David and Mark Pedley, who received their instructions from God while in prison. 1994 – Essenes declare bankruptcy and Art Hendershot dies in car accident. 1994 (March)- Court Case, Judge decided Art and Jan are removed as Directors, and appointed Cal McCarthy and Lawrence Ostrow as new directors. 1994 – Art Hendershot dies in a mysterious car accident (locals speculated that his brakes might have been maliciously damaged). 1995 (April) – Members of the Essene Corporation attempt to divide land and transfer ownership of 131 acres to the “Dominion of Melchizedeck” (including Takiba B. Davis Jr. ??) 1995 – The Essenes name is changed to “Healing Waters Corporation” by Tony Cardenas, manager. 1996 – Healing Waters under Tony and Sharon Cardenas (hired Duane Light, lawyer, prevailed in court, won ownership of property). 1999 – Shasta County passes new zoning ordinance with conditional use permit, making the eastern 20 acres of BBHS a newly zoned Comercial-Recreational (C-R) district, subject to long list of conditions needed for legal commercial operation..
2007 – Healing Waters closed by Shasta County for code and permit violations, Rod moves out. 2008 to Present – Big Bend Hot Springs Project group of land stewards arrives with goals to protect and re-open the hot springs and campgrounds (sold to BBHSP by Danny Gonzales). Please see the rest of this web site for more recent history and information about the goals of BBHSP. One more recently published description: “The Hot Springs and Big Bend area is bathed in a rich and colorful history… Today, the Big Bend Hot Springs enjoys a reputation as being one of the best Hot Springs in the West with its high water quality and temperature and having the added fortune of being surrounded by incredible mountain scenery.” And of course (in addition to the “rich and colorful” history), we would add that it’s very important that we remember and acknowledge the tragic horrific and brutal genocidal part of the history as well, as we work towards healing and reconciliation now and in the future. Thanks for your participation.